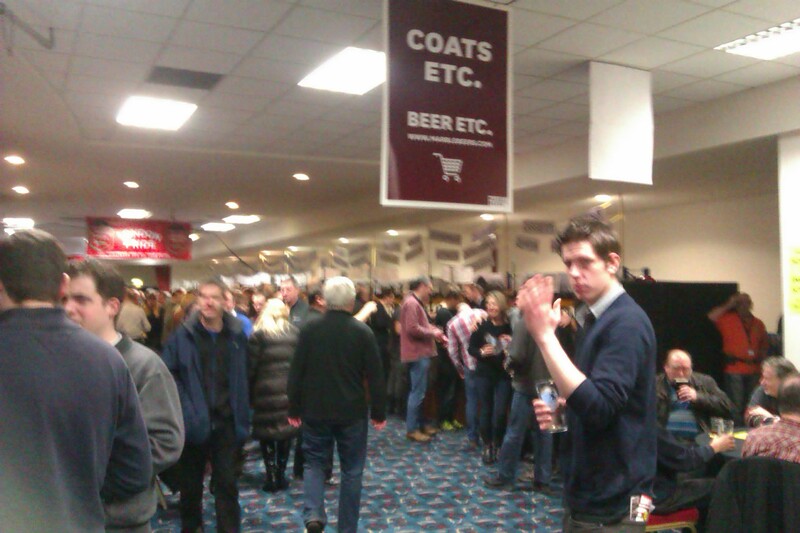 Last week saw the Sheridan suite in Manchester play host to The National Winter Ale Festival, as I’m sure you know, especially if you have seen my Twitter account in the past few days. I was there, this is what happened. A coach came and took us to Manchester on the Friday afternoon (by ‘us’ I mean myself and Jonny, mate, walker and fellow beer drinker). It wasn’t a very nice coach – there was no leg room. When we finally arrived in the city centre we had to trudge through the snow, trying to find our digs for the evening. I had cleverly decided to memorize the map (this doesn’t always work), but we did eventually find shelter. We checked in, dumped our stuff and set out into the city. Hungry and thirsty we dived straight into the first pub we could see that did food. The Piccadilly on Piccadilly, generally OK pub with five real ales on, none of which I had tried before. We sat down and had dinner, and tried all ales on offer. In the mean time we had been joined by Dan, a mate who neither Jonny had seen since a house party some time ago who now lived locally. After The Piccadilly we moved on to Brewdog, where we spent the rest of the evening having some rather fancy (and pricey) beers, AB:12 especially was a highlight for all of us. Following morning we walked up to the Sheridan Suite, where the festival was taking place. By the time we had got there, there was already a queue out of the door. It soon started to move and we were in. First pint of the day (After paying to get in, then paying for a programme and then paying for a glass and PAYING to put my coat down) was from Offbeat brewery, a red ale called OddBall Red. A good start, and the good beers kept coming. One of the highlights of the day was another beer from Offbeat called Venus Ella; part of the Venus project, which promoted women brewing. Dunham Massey’s Porter was also up there as one of my favourites of the day. I have to admit I thought that it was going to be a much larger affair than it was. 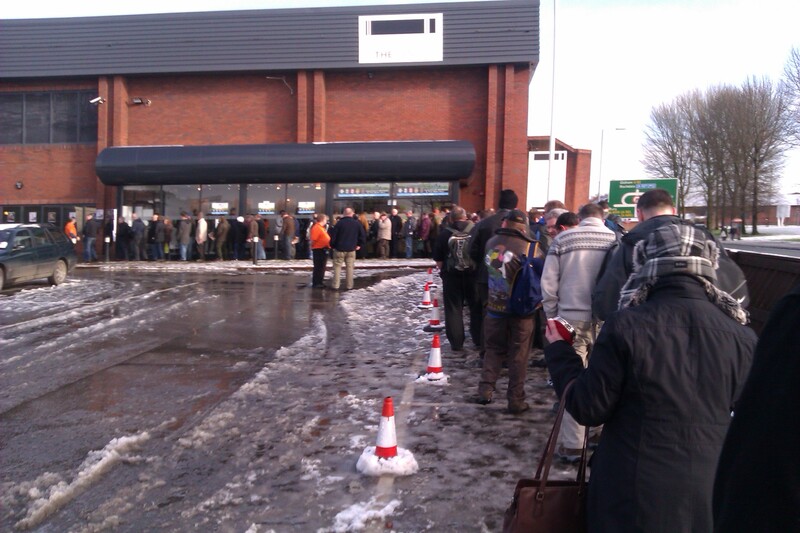 I was expecting one of CAMRA’s national events to cater for a larger surge of people. When we first walked in I thought to myself that it was going to be rammed, but, in the end, it was just the right size. The only downside for me was that all of the champion beers which had won at the festival were announced earlier and as such were all gone by the time we got there. Shame. After the festival called time me walked back into the city, got a few cans of beer and sat in the common room in the hostel. There was a very loud group of girls from Ireland, who wouldn’t shut up or leave, and an overly friendly chap who was either from Denmark or the Netherlands, Jonny wasn’t overly keen on him. Following morning we checked out and hit a Wetherspoon’s had breakfast and a pint of Ilkley’s Lotus IPA, which was nice. After which we mover on to a different Wetherspoon’s which had more choice,amongst which was the champion beer from the festival, Elland 1872 Porter, which was one of the best beers of the weekend. Last beer of the weekend was Build a rocket boys! by Robinson’s. I had been wanting to try it for some time after finding the bottles somewhat lacking. The cask version more than made up for it. All in all, lots of good beers at a good festival in a good city. I come from Bedfordshire, it’s a small county that a lot of people can’t place on a map. Most people don’t know what happen’s here. And most people don’t notice when they pass through it on the M1 or the A1. Nether the less I am proud to come from this fine county which gave the world Luton style vans, the first workable tractor, modern methods for the manufacture of straw hats, A Pilgrim’s Progress, Victoria Pendleton, Ronnie Barker and Carol Vorderman, to name but a few. The problem with living here is that no one dives a damn. Those who have always lived here, like myself, are fed up with all our natural landscape being ripped up and turned into landfill for London, and those that have moved here do so because they can get the train into London easily, but don’t have the bothers of actually living in London. Slowly and surely all of the local traditions are dying out and people are forgetting the ways things were. There aren’t even the nutter’s setting up museums of local history. 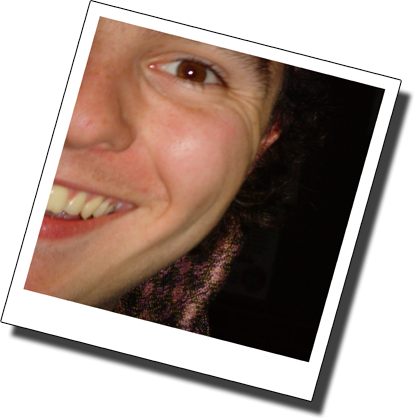 A while age I decided to look into it all, local history and the like. 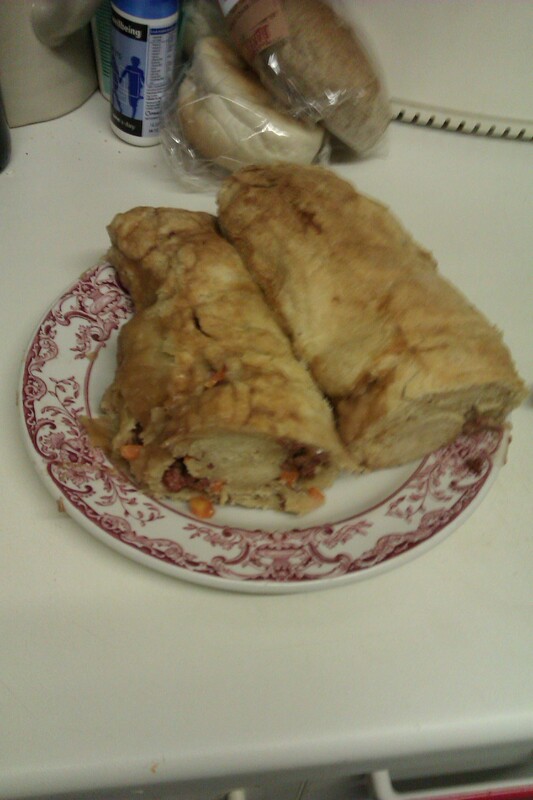 I discovered that we had our own regional dish, and one chain of bakeries still makes a version of it. A few Google’s here and there and I think I got my own idea of how to make a Bedfordshire Clanger. Today I decided I was going to make one and had to go to the supermarket to get some bits and bobs. While I was in Tesco I noticed a bottle of beer which I had been meaning to try for ages and never got round to. It seemed like the perfect time to try a beer from a Bedfordshire brewery. 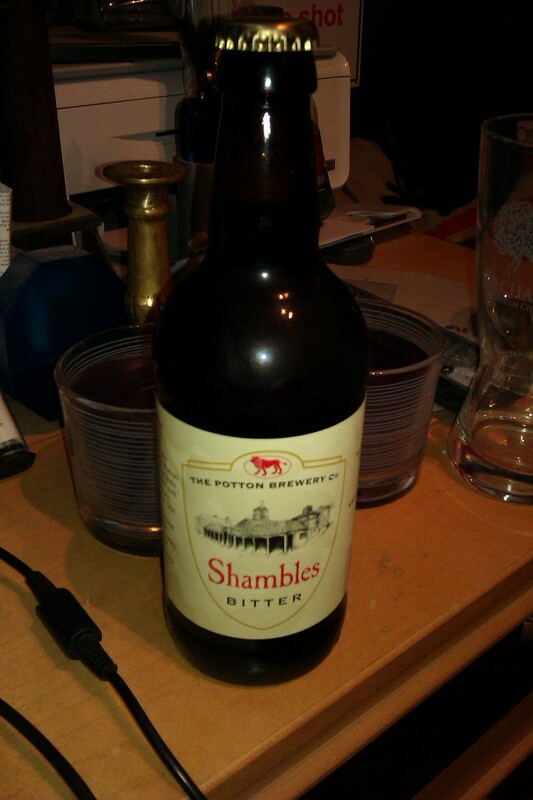 Ladies and Gentlemen… Shambles Bitter from The Potton Brewery Co.
Light, yeasty from the bottle. Poured, it reminded me of the chilli beer I had before new years, there was a bite and a sweetness, in the aroma which both chilli beers and Shambles have in common. Some green vegetable bitterness. Quite dry. Yeasty taste. Biscuit malt flavours. Light, effervescent. Small bubbles but lots of them. Citric and dry. A very drying alkaline feeling in the back of the throat sand tongue, think milk of magnesia without the milk?! Light and refreshing with a good bite. I love this beer. I am going to be buying this a lot more. Why have I not tried this before now. Absolutely fab. And my clanger?… Without a doubt the nicest thing I have ever made myself. 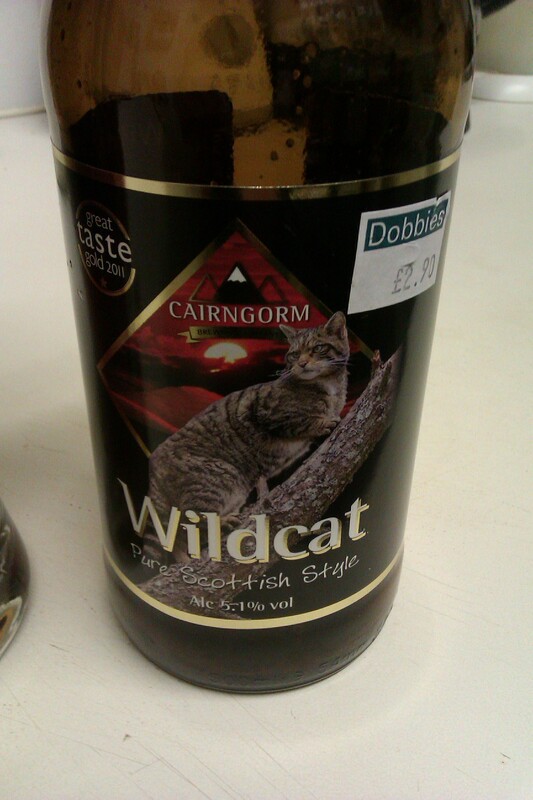 This bottle of Cairngorm’s Wildcat (5.1%) appeared in the fridge with a label on it indicating that it was bought from a local garden centre for £2.29. Deep amber in colour. Head was a light beige coloured, thick and fluffy. Lasting throughout the drink. There wasn’t much in the way of a smell. 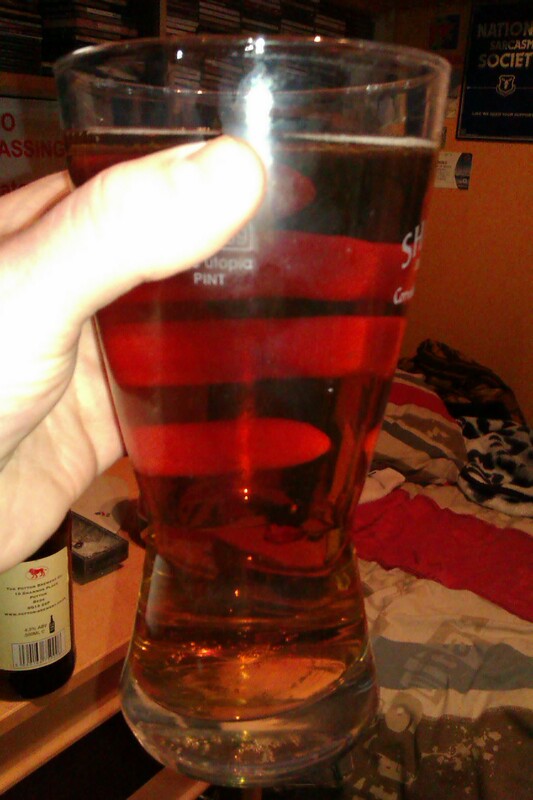 Later on, as the beer warmed up a small amount of the beers character came through on the nose. Burnt, malty base. Light and sweet, fruity taste, slightly raisin-y. Hinting towards coffee. Definite leather and a slightly medical twinge to it. Medium bodied with a good level of carbonation. Just as I like it. 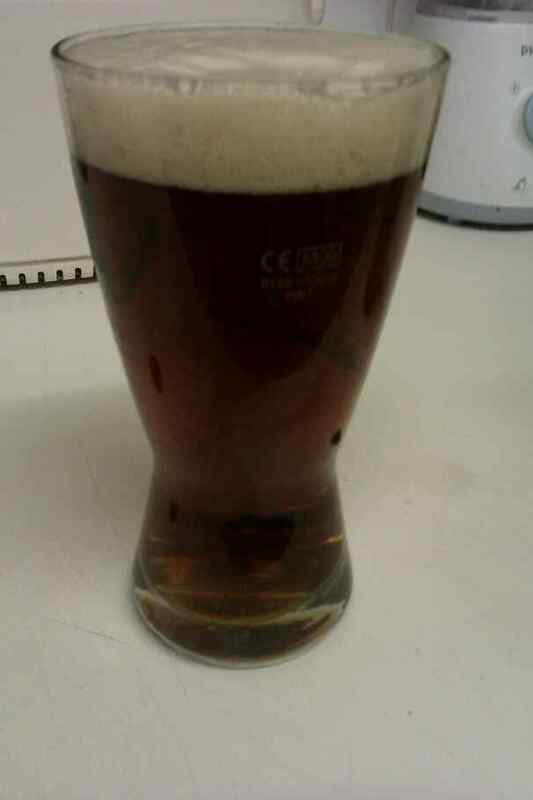 Especially long lingering after taste, slightly complicated but on the whole echoed the main tastes in the beer. Good well rounded beer, not going to change the world but very enjoyable, none the less.